We are delighted to introduce the shortlisted nominees for our Fundraiser of the Year award. We are delighted to introduce the shortlisted nominees for our Fundraiser of the Year award. 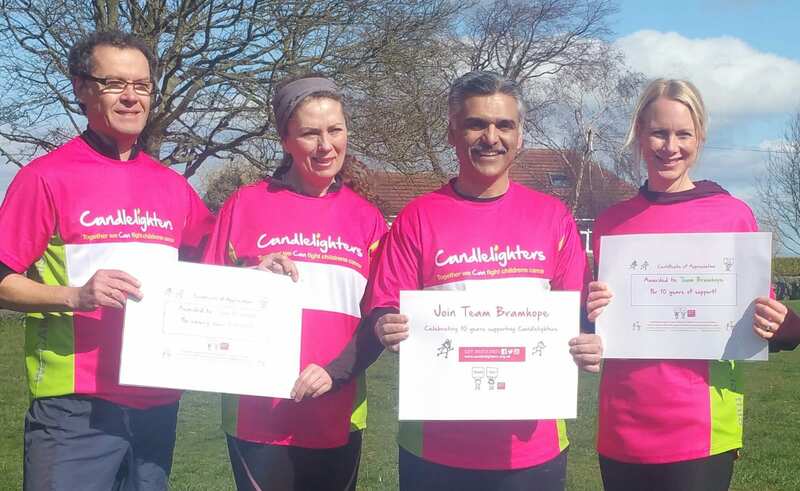 As Candlelighters do not receive any government funding we rely on amazing fundraisers to continue doing what we do. Congratulations to everyone who has been shortlisted for an award, you are all amazing! 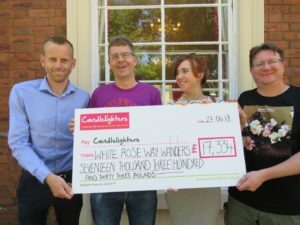 Andrew Taylor is a key part of Team Bramhope and this year, to boost fundraising, he organised a 104 mile walk on the white rose way, from Leeds to Scarborough. 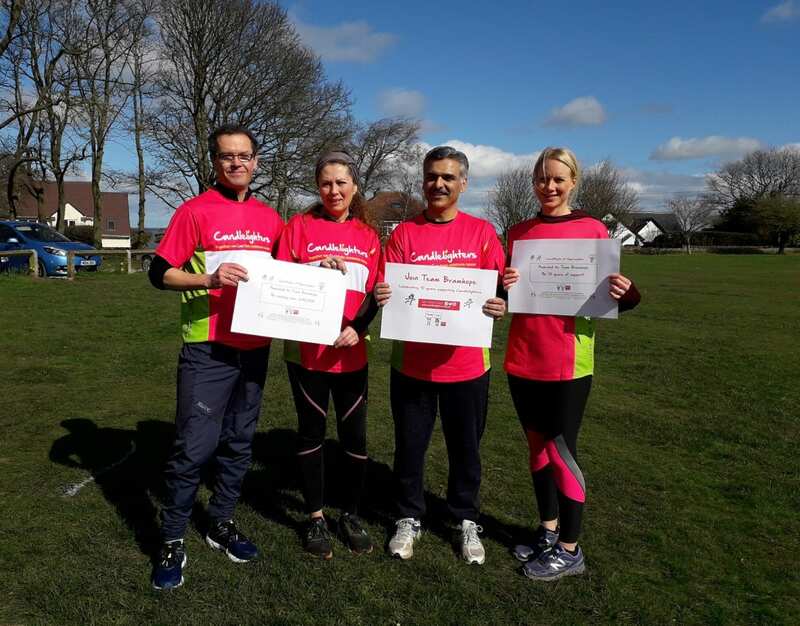 The walk, undertaken with colleagues from his workplace, raised a fantastic £17,334 and even included some pre-event cake sales too. Andrew is an amazing person who selflessly donates his time, involving friends, family and workmates to make a difference. Andrew is determined, giving 100% commitment to making the event happen. Layla Wray is fundraising in memory of her brother Aidan. She has taken on a full year of extreme challenges with her friend Maxx and has shown true grit and determination. 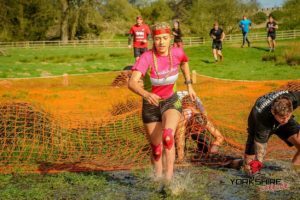 The challenges include Man vs Lakes – a brutal marathon over the hills of the Lake District, covering over 4200ft of ascent, and a few swims in the lakes. 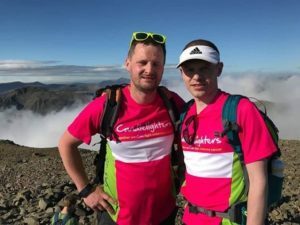 Man vs mountain – 22 Miles weaving up to the summit of mount Snowdon, covering over 5055ft of inclines and some punishing obstacles along the way. The longest obstacle race in the world- 20 Miles, 200 obstacles including the world’s longest monkey bars. The mighty deerstalker – 2 mountains in the dark with a head torch – distance is a hidden secret from the organisers. Plus at least one other race every single month in 2018. She has already raised over £1,500. Shaun Wilson & Darren Grant have undertaken in memory of Darren’s niece Nioni, the due completed a Tri-Challenge in 2017 but wanted to do it again, even bigger and better this year. The Tri-Challenge 2018 was a mammoth one, covering 250 miles, beginning on Loch Ness and finishing in York at Tower Gardens four days later. It included kayaking the full length of Loch Ness (22 miles) before jumping on the bikes and cycling from Fort Augustus to Ben Nevis (28 miles). The following day they hiked up to the Summit of Ben Nevis (20 miles). Days three and four were spent cycling approximately 180 miles along the Scottish borders to York. The training, organisation undertaken, and the awareness they have raised for the charity along the way is phenomenal.